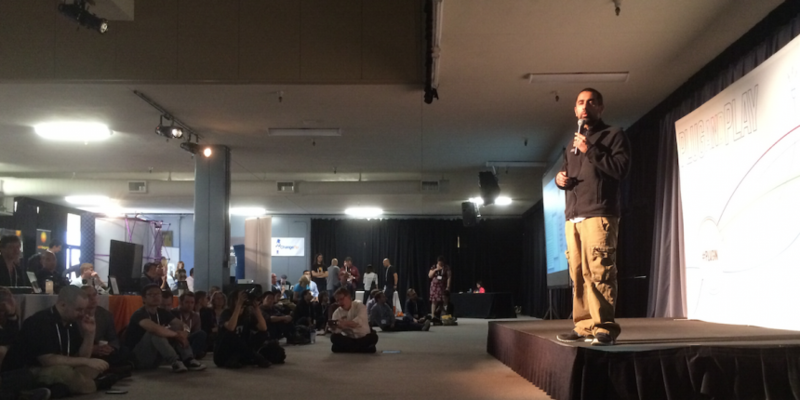 Attendees of the second annual Bitcoin Job Fair received a few new details as to what may be in development at secretive startup 21 Inc on Saturday during a rare public talk by one of its top executives. 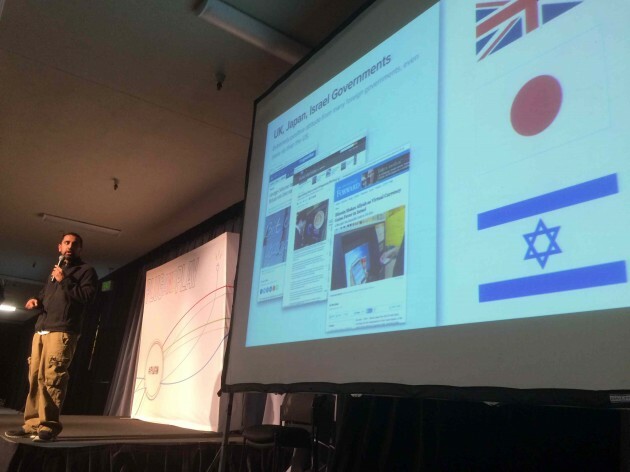 Featuring displays from industry groups as diverse as ShapeShift and Trustatom and held at Plug and Play Tech Center‘s Sunnyvale incubator, the day-long event’s main attraction was 21 Inc chairman and Andreessen Horowitz partner Balaji Srinivasan, with the busy crowd of job seekers coming to a veritable standstill for its duration. Despite the absence of any big reveal, Srinivasan did expand at length on his larger vision for the technology, one that while successful at categorizing the possibility enabled by the digital currency, was sometimes quick to dismiss many subjects of ongoing debate in the industry related to regulation and network scalability. Bitcoin, his talk suggested, is on a similar trajectory, regardless of any issues facing the network. Srinivasan went as far as to predict that society is fast moving toward a future where everyone can transmit value as easily as information, meaning anyone with an Internet connection will by extension be connected to the financial system. 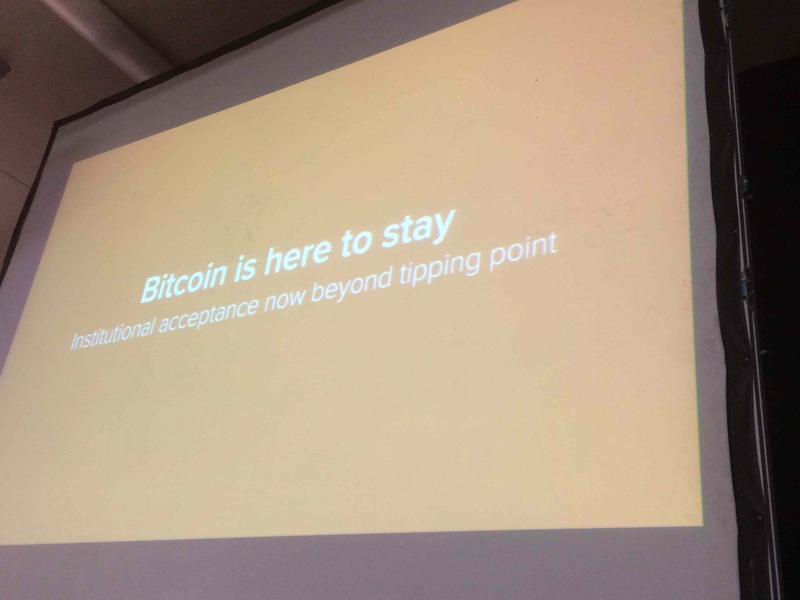 Overall, the presentation seemed designed to impart the impression that the bitcoin network is growing at an unstoppable pace, with Srinivasan rifling through a series of topics and talking points that seldom lingered for close inspection. Srinivasan suggested that bitcoin is now moving to a stage of institutional acceptance, noting his belief that organisations are reaching the point where they need to adopt bitcoin strategies due the momentum of adoption and the fact that “VC investment [is] perhaps poised to break $1bn this year”. Srinivasan suggested he believes bitcoin will prevail over models in the existing financial system because of its open-source model, using examples from the early Internet to support his view. “Bitcoin is to PayPal as Linux is to Windows. It is open-source, decentralized and programmable. We went from landline to IP addresses. We’re going from personal bank accounts to machine bitcoin wallets,” he said. This portion of the talk included time spent attacking what he characterized as one of the ecosystem’s most common “memes”, that there can be blockchains without bitcoin, or distributed open ledgers without a token that incentivizes use. Should such a system be capable of existing, he said, it hasn’t been discovered. “We think it’s going to be bitcoin or nothing at the present time,” he added. One of the more oft repeated talking points was Srinivasan’s assertion that “bitcoin is bigger than Google” in terms of its network footprint, a point that dominated the early part of the presentation. “All of Google today would represent less than 1% of mining. The sheer degree of what is happening in mining hasn’t been appreciated in the press,” Srinivasan said in one of many suggestions that 21 Inc may still be focused on transaction processing as rumored around the time of its original 2013 fundraising. Srinivasan went on to make the assertion that, based on estimates from last publicly available data, the bitcoin mining network is now bigger than Google in terms of computing power and power consumption. “If we assume there are 10 million Google servers and each of these servers is running. You can multiply that through and you get about one petahash. If they turned off all their data centers and pointed them at bitcoin, they’d be less than 1% of the network,” he continued. 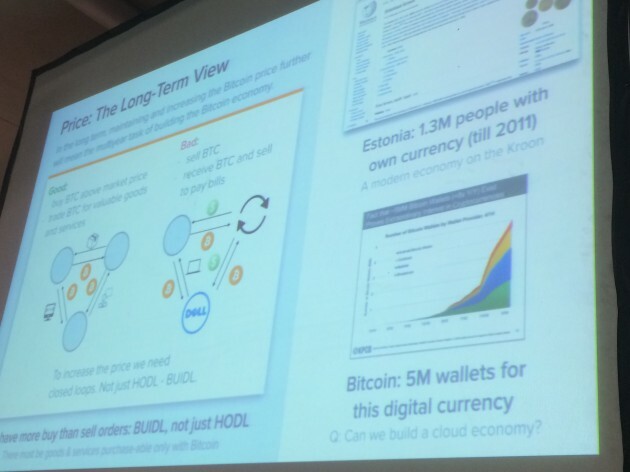 Srinivasan encouraged the audience to think of bitcoin as the world’s “largest supercomputer”, one that he inferred perhaps needed to be tapped for opportunities, if only for its sheer size. “Many metrics are up across the board. There’s now more than five million wallets, long-term transactions are up. There is a roadmap for scalability. It is likely we’ll be able to handle more than seven transactions per second,” he said. Consistent throughout the talk was Srinivasan’s implication that problems with the bitcoin network will be solvable due to the distributed nature and collaborative development that is occurring globally. “Bitcoin is open source. Ten-minute confirmation times can be changed,” he said. Srinivasan dismissed the idea of a 51% attack, whereby malicious miners take control of or otherwise corrupt the ledger, as “overblown”, suggesting that technical solutions have already been proposed. Legal issues were also dismissed via the notion that “the technology as a whole can’t be banned”. “Are there legal issues? I think that was a reasonable concern in 2013, [but] I don’t think that’s a reasonable thing today,” Srinivasan said. He further characterized the US government’s sale of confiscated bitcoin at auction as “implicit sanction” and a sign of institutional acceptance. “A lot of people thought there was going to be a crackdown on bitcoin. Now, neutral to positive things are being said. Since the [US Senate] hearings in late 2013, there’s been a real turn around,” he continued. Despite the presentation’s focus on issues of network health and infrastructure development, the talk ended by addressing what Srinivasan categorized as the biggest issue facing bitcoin, the sagging value of the currency itself. Part of this issue, he contends, will be solved by the network’s own built-in incentivization process whereby miners are rewarded with bitcoin for processing transactions. Still, Srinivasan suggested that there was work that could be done to increase the price further, suggesting that bitcoin’s value will stabilize when the network begins to integrate a new third key party beyond consumers and merchants – vendors. To further stress the point, Srinivasan evoked the phrase “buidl, not hodl” (sic), an expression he suggested was meant to equate holding value in bitcoin as an action that was not purely speculative, but rather, beneficial for the network. Correction: A previous version of this article indicated Balaji Srinivasan was CEO of 21 Inc, a position held by Matt Pauker. Images via Pete Rizzo for CoinDesk.